India’s government took a huge gamble at the end of last year. At 8:00pm on November 8, 2016, Prime Minister Narendra Modi made an unscheduled television address in which he proclaimed a newfound intention to disrupt and eliminate illegal activity and terrorism within his country. 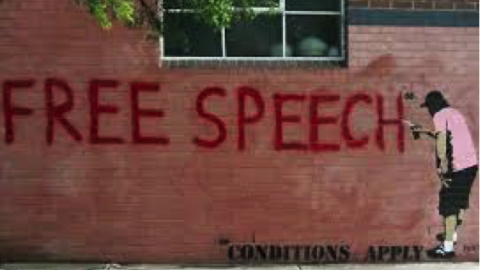 The announcement however, did not speak directly to criminals and terrorists, and did not involve harsher mandatory sentencing or a higher police presence in troubled areas. Instead, Modi swiftly removed 86% of India’s cash from circulation, by declaring all 500 and 1,000-rupee notes (think $10 and $20 in Australian notes) to now be “mere paper”– i.e no longer legal tender. He announced fifty-day period of amnesty, during which people could deposit the old notes in bank accounts, at a limit of 4,000 rupees per person. Upon the announcement, the Reserve Bank of India hastily distributed new 500 and 2,000-rupee notes across banks and ATMs to replace the old currency. Modi’s logic of demonetisation was to expose India’s untaxed “black economy” and remove counterfeit money from the economy. Such logic is, on the surface, quite sound. Corruption in India is a major obstacle to the alleviation of poverty, and the move will indeed make it harder for criminals to hoard wealth outside scrutiny. The move also aimed to address a key problem with the Indian economy in the 21st century–only 5% of transactions in India are made electronically. In contrast, over half of all transactions in Australia are now electronic. In near-cashless Sweden, the number is as high as 98%. India’s dependency on cash in all avenues of it’s economy leaves enormous scope for its citizens to accumulate money outside the government’s line of vision. This creates a huge problem for the Indian government, who are unable to tax and control this money, and are therefore unable to channel enough funding into infrastructure and social programs. The numbers are far from trivial–a mere 2% of Indians pay any level of income tax. As drastic as the decision was to remove 86% of India’s cash from the economy, the goals that Modi hoped to accomplish through demonetisation are commendable. In summary? Chaos and confusion. 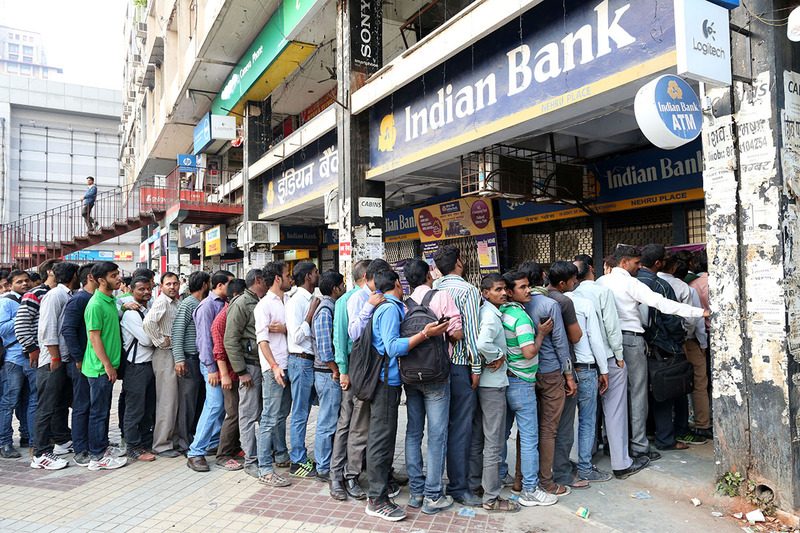 Indians all across the country rushed to deposit their old bills in banks, creating lines that lasted for hours. However, the banks couldn’t keep up with demand for replacement currency. ATMs were drained of new notes as fast as they could be filled. In addition, most Indians do not have bank accounts, and were unable to fully exchange their cash savings for new currency due to the 4,000-rupee limit. Disturbingly, a week after the announcement, over 25 people had died as a result of the demonetisation, with some suffering heart attacks in the long queues, and others committing suicide after hearing their cash savings had become worthless. For those that were lucky enough to exchange their demonetised notes for new ones, additional problems arose. Vendors wouldn’t accept new 2,000 rupee notes due to a shortage of smaller notes available as change. This in turn left consumers with freshly minted bills that were functionally as useless as the old, demonetised notes. There were also issues with accessing ATMs; many of India’s ATMs are broken and unrepaired, and in rural areas ATMs are few and far between. In addition, new bills were the wrong size for the old ATMs, and the period of ‘recalibration’ that immediately followed Modi’s announcement added to the chaos. Retrospectively, many of the post-demonetisation figures don’t look great for the Indian government. Despite initial hopes that 3 trillion rupee would be removed from the economy, nearly 97% of the notes were returned during the amnesty period. This leaves around half a trillion rupees unaccounted for, a disappointingly small number when weighed against the government’s original aspirations. Additionally, while the long-term effects of India’s demonetisation are yet to be seen, the post-demonetisation uncertainty corresponded with a clear fall in GDP. For all this pain, it is questionable is whether the black economy has been notably reduced in size due to the high number of demonetised rupee notes returned. India’s upper class were able to avoid the 4,000-rupee limit by paying servants to line up and deposit the money for them, while many poor and rural Indians were unable to deposit the notes due to a simple lack of access to the financial sector by any means. Sold as an innovative method for targeting black money and corruption, demonetisation has disproportionately affected the poorest Indians who both depend on cash and lack access to the financial sector. It is also important to consider the impermanence of Modi’s solution. Poor banking infrastructure and the fact that most Indians do not interact with the banking system on any level means that cash will not magically become an archaic mode of transaction. Once new notes start circulating, what’s to stop them from entering the black economy as their predecessors did before them? This highlights a much broader issue; India’s black economy will persist until the banking system becomes available to the majority of Indians, and while demonetisation has had some effect in promoting these technologies, most Indians are still in the dark, and further investments in mobile banking and technologies, such as Paytm, are essential to making the financial sector more accessible. Attempts to move India to a cashless economy are, in the long-run, perfectly logical. However, Prime Minister Modi has ignored the simple fact that his country does not have the infrastructure to cope with a sudden demonetisation. Once such technology is widely available, the market will gradually respond, and cash will gradually become a less preferred mode of trade, as has been the case in Sweden. There are no shortcuts the government can take here. India needs to innovate and invest in more accessible electronic infrastructure if it wants to eliminate its large black economy, and stripping paper currency of its value is less than a half-baked solution. Renowned Economist Neville Norman Calls for a Fixed Cash Rate! Can cash grants help reduce poverty?